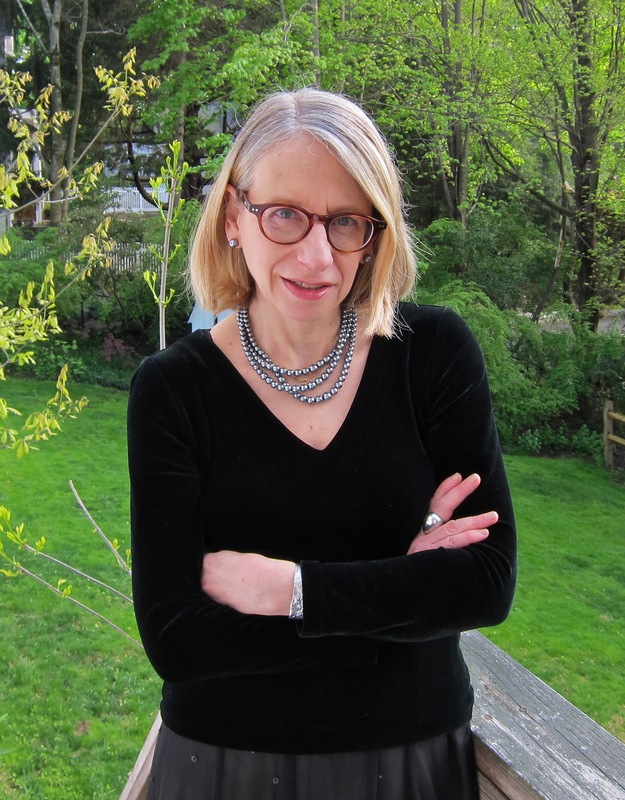 Roz Chast, an accomplished author and illustrator known for her work in The New Yorker magazine, will speak at 7 p.m. Saturday, Feb. 21, at the Avalon Theatre to discuss her book, “Can’t We Talk About Something More Pleasant?” She also will sign copies of the book. Her book is the 2015 selection for the One Book, One Mesa County celebration. In “Can’t We Talk About Something More Pleasant?” Chast uses humor and sensitivity to tell the story of watching her parents age and die. The book, written in the style of a colorful graphic novel, uses cartoons, photographs, and text to tackle the difficult issue of dealing with aging parents who eventually become unable to care for themselves, a topic that hits home for many Mesa County families. The presentation and book-signing are open to the public at no charge. One Book, One Mesa County is sponsored by the Mesa County Public Library Foundation, The Daily Sentinel, and KKCO NBC 11 News, with special assistance from Barnes and Noble; the City of Grand Junction; Dufford, Waldeck, Milburn & Krohn; and Friends of the Mesa County Libraries. Cartoonist Roz Chast is a brilliant interpreter of the everyday. Her cartoons depict neuroses, hilarity, angst, and domesticity and are loaded with words, objects, and patterns. More than 1,000 of them have been printed in The New Yorker since 1978, and she has published nine collections of her work. Chast is known for her cast of recurring characters – generally hapless but relatively cheerful “everyfolk.” In her cartoons, she addresses the issues of our time: guilt, anxiety, aging, families, friends, money, real estate, and much more. Her children’s book, “Too Busy Marco,” was published in 2010 and was followed by the sequel, “Marco Goes to School,” in 2012. Her books for adults include “The Party, After You Left”; “Theories of Everything: Selected, Collected, and Health-Inspected Cartoons,” a 25-year retrospective; and “What I Hate: From A to Z.” She has illustrated a book with songwriter Stephen Merritt called “101 Two-Letter Words” about the two-letter words allowed in the game Scrabble. Chast grew up in Brooklyn, N.Y. She received a BFA in 1977 from Rhode Island School of Design with studies in graphic design and painting, but returned to the cartooning which she had begun in high school. Less than two years out of college, she was added to the 40 or so artists under contract to The New Yorker, which has continuously published her work for 33 years, from black-and-white cartoons to color spreads, back pages, and covers. In addition, she has provided cartoons and editorial illustrations for almost 50 magazines and journals from Scientific American to the Harvard Business Review to Mother Jones. She has lectured widely and received several prestigious awards, including honorary degrees from Pratt Institute and the Art Institute of Boston. In 2013, she was inducted as a member of the American Academy of Arts and Sciences. Chast lives in Connecticut with her family and several parrots. Just like we all know that we need an updated will (but don’t have one), we know we have to talk between loved ones about all the issues as a family member’s health fails. Here to help us make these talks easier are Janet Seeley, M.D., Ph.D, lecturer and facilitator at Late Life Planning; and Kerri Mosinski, Chief Clinical Officer/Senior Vice President of HopeWest. Fruita Branch Library, 324 N. Coulson St.
Book discussions are hosted by One Book, One Mesa County committee members and are open to the public at no charge. Share your thoughts about the book and the issues it raises, or just listen to learn more about the book. This 1996 movie starring Albert Brooks and Debbie Reynolds takes a truthful, amusing look at the adult mother-son dynamic. John Henderson (Brooks) is a successful writer in the midst of his second divorce. In an effort to understand his issues with women, John moves back in with his mother (Reynolds), occupying the same bedroom he had as a child. Admission is $6. 6 p.m., Tuesday, Feb. 17 – Can’t We Talk About The Book Now? A cartoon book? Really? And a cartoon book chosen as a National Book Award finalist? Perspectives on “Can’t We Talk About Something More Pleasant?” come from our literary panelists: Dr. William Wright, English professor at CMU; Peter Derk, librarian and graphic novels expert at High Plains Library District in Greeley; Rachel Sauer, journalist at The Daily Sentinel and occasional cartoonist; and Mike Blackburn, mortician and past owner of Callahan-Edfast Mortuary. Collbran Branch Library, 111 Main St. Hear author and cartoonist Roz Chast discuss “Can’t We Talk About Something More Pleasant?” There is no charge for this event. Doors open at 6 p.m.
Posted in General, Library News, One Book, One Mesa County, Programs/Classes.